When the temperatures keep climbing, it seems as if the only way to bring relief is to crank up the AC, which raises your bills indefinitely. There are several other ways that you can keep your home cool without skyrocketing utility bills. Look to these five ways to keep your home cool and stay on your budget. One way to keep your home cool is to simply close your blinds to keep the extra heat from entering your home. And if you have curtains, that’s a plus! Did you know that when you use curtains or shades you can lower the indoor temperature by 20 degrees? That’s reason enough to get some new drapes for your home this summer! Close the doors of unused rooms. Another nifty way to keep your home cool on a budget is to keep the doors closed of any unused rooms. Whether it’s the home office or the guest bedroom, close off the doors to these rooms in order to isolate the air conditioning in the rooms that you are spending most of your time in. Then when the sun goes down, open up these doors in order to increase airflow in your home. Crack open the windows at night. Speaking of increasing airflow, you can also encourage airflow during the evenings when you crack open the windows. Of course, make sure that there’s a nice breeze outside and not just additional heat that you’re allowing in your home. 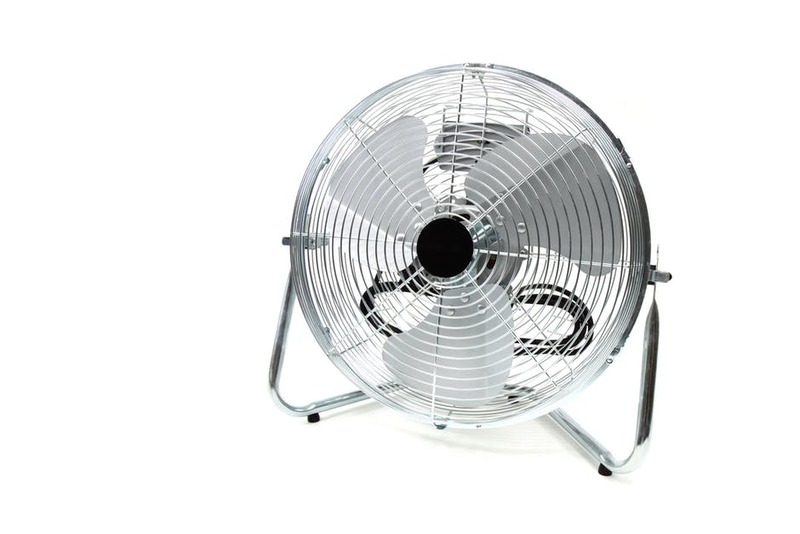 You can also set up fans in your rooms in the evenings to further usher that cooler air in and create a cross breeze. Keep yourself cooler while sleeping when you switch out your thicker, insulating sheets, like flannel, and use more breathable fabrics on your bed, such as linen or cotton sheets. Though this seems like a small task, it will make a notable difference on your quality of sleep this summer. Did you know that by changing the direction of your ceiling fan to rotate counter-clockwise, you can cool down your home? On your ceiling fan base, flip the switch, which will change the direction of your fan. By rotating counter-clockwise, the cooler air will be pushed down to keep you and your home cool.